Hansen and Gretel’s knack for mixing both traditional and modern styles creates a trendy, avant-garde appeal that breaks away from the usual cookie-cutter fashion. Hansen and Gretel is a home-grown designer label created by Ainsley Hansen. The clothing brand’s strength is its focus on design wearability, with pieces constructed in timeless classics. The Hansen and Gretel brand first made its way on 2012, only a few years after Hansen launched her career as a stylist in Australia’s Next Top Model. Since then, the brand has been releasing clothing pieces with sharp forms, luxe fabric and clean shapes. All of the items are geared towards the Australian consumer. Remarkably, the designer label’s website showcases the brand’s aesthetics. Soft but solid colours appear on its homepage, with minimal texts and bigger images. You can easily access the store’s catalogue through the ‘Shop’ link. Alternately, you can visit Hansen and Gretel’s past and present collections, which are viewed on a drop-down list beneath the link. The Hansen and Gretel gallery greets you with large product images and an elegantly assembled menu on the left part of the page. There are links for tops, skirts, dresses, sets, jumpers and accessories. Bags, shoes and leather items are included in the menu. A sorting option for the whole gallery is available on the upper right hand of the frame. All previews are shot on a white background, allowing you to see the colours. The full-body shot reveals how each item fits. On mouse-hover, the pictures interchange into a different angle. Below the images are the description and the price. Product pages showcase the items with its full description, size, colour and fabric content. Additional featured products can be seen on a scroll-able array underneath the main item. Despite being a designer label, Hansen and Gretel products are affordably mid-range. The brand is aimed towards women in their twenties and thirties looking for soft, contemporary looks with a play on colours and prints. Its leather range presents an edgy series of clothing for the urban chic, while jackets showcase a fun, androgynous side for the wearer. Hansen and Gretel accepts all major credit cards for its payment options. Returns and exchanges are permitted so long as the items are unworn and undamaged. Products must be shipped back within 2 weeks from purchase date. Refund is available for faulty items. Lucy in the Sky is an online fashion store that offers affordable, trendy pieces for women. The Australian Lucy in the Sky carries a wide stock of shoes, clothing and accessories for online shoppers. According to the label’s company overview, the “Lucy” girl has her head in the clouds and her feet in the ground. She can’t be tamed and she doesn’t follow rules, she makes them. She does not crave attention but her wardrobe demands it. The label specializes in trendy styles – skin-bearing dresses, multi-colored outfits and grungy, rebellious getups. If you are bold enough to wear trends that demand attention, Lucy in the Sky is the perfect online shopping place for you. Some of the items included in their inventory include party dresses, jackets/vests, jumpers, pants, playsuits, accessories, jewelry and shoes. They also have a few swimwear and intimates pieces. Frugal fashionistas will be glad to know that the price range here is very affordable. 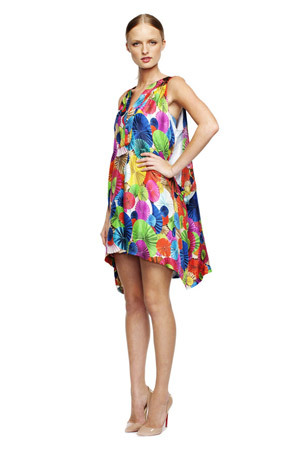 Starting from as low AUS$29, you will already find chic clothing and accessories. Additionally, the site always offers on-sale items in their shop. Featuring stylish photos and a very chic, fashion layout, Lucy in the Sky is not just an online shopping place but also a nice fashion community for style mavens. Aside from their online store, they have also developed a great online presence. They often feature style inspirations in their social media accounts and also have an e-magazine where style tips are posted. Followers of the brand are also encouraged to join their style contests for a chance to win amazing prizes like iPhones and gift cards or store credits. Compared to other online shopping sites, this store offers all the fun and hype of the whole fashion experience. Lucy in the Sky ships internationally but only to selected countries including New Zealand, Canada, Singapore, Ireland, United Kingdom, Malaysia and United States. Domestic orders over AU$30 and international orders over AU$60 have FREE shipping. There is a flat rate of AU$9.95 for international orders over $60. Full-priced items can be returned for store credit or size exchange. Sale items can also be returned for store credit only. The store has a “Free Returns” policy for full-priced items, provided the item/s meets the requirements. You can view the whole policy for better understanding on their website. Overall, Lucy in the Sky proves to be an impressive site for fashion lovers. Their store is not just filled with trendy, fashion-forward pieces that are very easy on the wallet, there is also that added bonus of being part of their chic community of stylistas through their social media accounts. A brand hailing from Australia, Veronika Maine is an online store offering handsome, sophisticated clothing options for women. Under the fashion umbrella Cue Clothing Co., Veronika Maine was founded on 1998 and has bloomed into a growing business, with different stores across Australia and New Zealand. Veronika Maine items are exclusively carried by the global fashion brand, David Jones. Splashes of pastel colored items and apparel with minimalist prints are highlighted on the Veronika Maine website, emphasizing the brand’s knack for simplicity and basic wear. The fonts offer a clean look against the white background, with the navigation lined up under the main header. Banner displays grab the user’s attention, inviting them to respond to different call to action messages. New arrivals are shown a bit further down the page, with a scroll bar that allows one to view many pieces without leaving the frame. A campaign video is plastered underneath, showcasing the season’s collection. The footer lists down interesting links that will help users to understand more about the website, its items, and the brand. Users can enjoy the fresh, polished look of the Veronika Maine website. Despite the simplicity of its design, one can only discern the feel of the brand within its pages. Items are easily accessed through the ‘Shop’ link on the main menu. A quirky box appears upon hover, listing down categories of clothing and accessories. Inside the product gallery, items can be filtered by its a list of accent and descent, style, color, pattern and size. Images are studio-shot, crisp and clear; with the items modeled with strong expressions. Each Veronika Maine product is described in detail in its specific page, which is accentuated with gray lines and coal-colored buttons to ease up the white canvass. Information such as size, fabric & care and shipping are placed on an easy-to-read accordion. Beneath the product are suggested pieces that go perfect with it. Veronika Maine ships Australia-wide and internationally, with $20 / $40 flat rate fees, depending on the region. Standard domestic shipping offers free delivery for every transaction over $100, with a rate of $8 for transactions below that amount. Returns are accepted, as long as the item remains unworn, undamaged, and comes with a proof of purchase with the tags attached to the garment. Domestic online returns are allowed within a 15 day period, with a return form attached to the item. For global returns, a 30-day stretch is permitted, starting from the order date. Accepted payment options are PayPal and credit card. Shona Joy offers one-of-a-kind editorial-inspired clothing and accessories. An online designer store created for the sophisticated and feisty female, Shona Joy offers one-of-a-kind editorial-inspired clothing and accessories. The label is made by Tanya Gacic, a Sydney-based writer, stylist, creative director and photographer who regularly contributes to Vogue Australia’s online publication. After being immersed into the world of beauty and apparel, Gacic breaks away from the normcore by establishing a brand reflecting her design preferences. The Shona Joy website is clean, responsive and easy to use; with smart sans serif fonts and accentuating gray hues to create a splash of color in the otherwise minimalistic template. It sparkles with a lot of personality. The homepage, for instance, radiates with glamour shots of models, showcasing different dresses in Vogue-like shots. Feature banners interchange in seconds, tugging the interest of any customer who visits the website. The navigation is easily found on the top right part of the page, and products can be accessed through the ‘Shop’ link. Upon entering the gallery, users will be pleased to look at the bold, characteristic shots of each product. Items are modeled accordingly, showing off how it looks when worn. The gallery loads swiftly, and one doesn’t have to click a link to get to the next page; upon reaching the end, the page automatically loads the next batch of items for display. Shona Joy’s product pages offer additional images, descriptions and size options. The online shop offers an interesting range of apparel series perfect for the contemporary woman. Taking a big step from the items found on retail, Shona Joy found its market in the female working class within mid 20s to early 40s. The designs show great attention to detail, cut and use in each piece, as well as an exploration of patterns, colors and shapes. Highlighting the wearer’s unique personality, Shona Joy items are classic staples splashed with fun prints for the spirited woman. Shona Joy offers Australia-wide and international shipping, but pays cautious attention to global customers’ identification. For local delivery, the online store offers free shipping for all orders above $150. A flat rate of $12 is required for orders below that price. Returns and exchanges are accepted in the Shona Joy store, on the condition that the goods are in saleable condition with the original tags attached. Refunds are only available if the delivered items are found faulty during the shipping. A 7-day timeline is required for returns. Sass & Bide is an Australia-based, homegrown label for the contemporary woman. Sass & Bide was established in 1999 by two independent designers, Sara-Jane Clarke and Heidi Middleton. Its first creations were customized denim wear sold in the urban underground culture of London, but in two years Sass and Bide has flourished into a full collection of RTWs, debuting designs into local and international runways. Made as a tribute to “the strong, the obscure & the beautiful”, the Sass and Bide website reflects the label’s aesthetics with magazine-shot feature images and classic website fonts. Each image rotates swiftly, allowing users to take a peek at the online store’s series of items. Navigation is the array of links at the center, which must be clicked in order to display a sub-category in a space below the menu. User accounts can be accessed through the top links, and one can also change the store currency in US dollars, British pounds or New Zealand dollars. The store’s main currency is in Australian dollars. Product galleries float in the white background with a description underneath the item. Hovering on the item allows users to see how the product fits. The item’s page displays more image angles, a description, sizing options and color choices. Information care, size guide and stockist information can be viewed in an accordion. An array of gray buttons invites the user to share this item in their social media networks. The Sass And Bide website is sleek, easy to load and responsive; catering to different browsers and smartphone users. The female-oriented designer label offers a limited variety of clothing choices in clear-cut constructions, distinct prints and unique cuts. Items are embellished with a luxurious blend of patterns and folds, supplemented with bejeweled add-ons. Sass And Bide’s denim collection offers a range of working pants in different rises and leg cuts, offering alternatives for different body types to enjoy wearing jeans. There are dresses, tops, tees, outerwear, shirts and rompers available in the apparel shop. On the other hand, the accessory section offers limited edition pieces to enhance one’s wardrobe. The Sass And Bide brand is carried by different stockists across Australia, New Zealand and the US. Items can only be shipped within these regions. Accepted payment methods are PayPal, VISA and MasterCard. Returns are acceptable as long as it complies with the store’s terms.